Decorated trees are a staple of the holiday season. It just doesn’t feel like Christmas until a colorful, twinkling topiary adorns your living room. 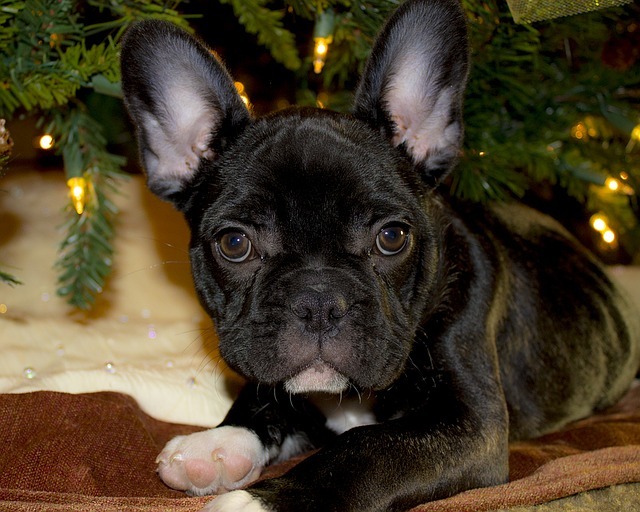 But did you know that your Christmas tree could pose a variety of hazards to your pets? From needles and tree water to ornaments and electrical cords, here’s everything you need to know to keep your canine companions and feline friends safe this holiday season. Live Christmas trees shed their needles, and if your pet is a floor-grazer, they may ingest some. According to PetMD, pine and fir needles may cause “gastrointestinal irritation, obstruction, and puncture.” In addition, the needles still attached to the tree can cause corneal abrasions if your pet gets a bit too close. The oils shed by popular holiday fir trees can irritate your pet’s mouth and stomach, potentially leading to excessive drooling or even vomiting. Most people use plain water to keep their tree looking fresh until the New Year. However, this seemingly harmless water can pick up traces of bacteria and mold which can make your pet extremely sick. Some folks also purchase commercial additives to help preserve their tree. These often contain fertilizer, some type of sugar, and occasionally fungicides. While not toxic to dogs and cats, Poison.org notes Christmas tree preservatives may cause upset stomach and vomiting. And then there are those who use home recipes to keep their trees fresh. These concoctions may include lemon-lime soda, sugar, corn syrup, vinegar, aspirin, bleach, or even whiskey. When combined, bleach and vinegar or lemon juice form chlorine, a poisonous gas. Alcohol is also quite dangerous if ingested by pets, as is aspirin in large quantities. “Even untreated water may cause problems, so don’t allow your dog access to the tree water. It’s best to cover the tree stand and water to prevent a dog from getting to it,” Jerry Klein, the chief veterinary officer at the American Kennel Club (AKC), told Fox News. 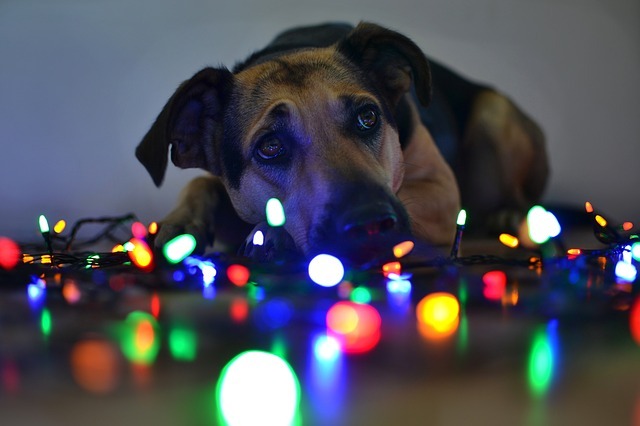 While holiday lights may potentially cause mild burns if they become too hot, the real hazard comes when dogs or cats chew on the wire. Injuries can range from mild electric shocks to severe burns to the mouth or even death. “Chewing on an electric wire also can cause pulmonary edema (fluid in the lungs) which can be fatal,” Klein said. Christmas tree decorations such as tinsel and ornaments carry their own risks. If ingested, these items can cause vomiting, diarrhea, and potentially life-threatening intestinal blockages. Cats are especially drawn to shiny, stringy tinsel. As Dr. Klein notes, surgery is often required to remove tinsel from feline intestines. While real glass ornaments are beautiful, you may want to place them on the mantle or somewhere curious pets cannot get to them. Broken ornament pieces can cause lacerations to the paws, mouth or digestive tract. 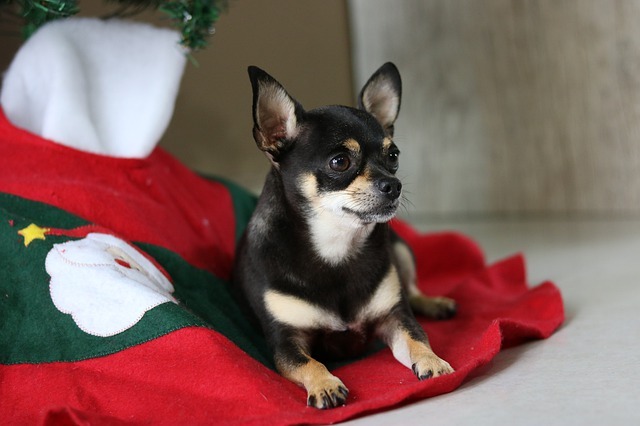 Pet parents should also avoid decorating their trees with edible items like popcorn and chocolate. 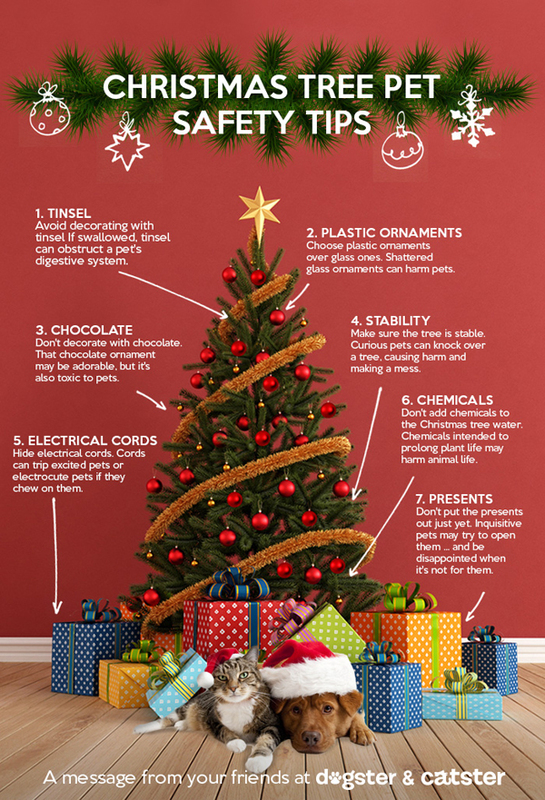 Those who prefer artificial trees should also be aware of the potential for accidents and injuries caused by lights, ornaments and tinsel. In addition, older trees may become brittle and break off in chunks. If ingested, these pieces of plastic or aluminum may cause lacerations to the mouth or intestinal blockages. Check out this helpful infographic from Dogster and follow these additional tips to keep your pets safe and healthy this holiday season!